Team of The Heiresses after the 2018 Berlinale awards ceremony where the film won the Silver Bear 'Alfred Bauer award' and the Silver Bear for 'Best Actress' for Ana Brun. Chela and Chiquita, both descended from wealthy families in Asunción, Paraguay, have been together as a couple for over 30 years. But recently their financial situation has worsened and they begin selling off their inherited possessions. But when their debts lead to Chiquita being imprisoned on fraud charges, Chela is forced to face a new reality. Our International sales are managed by LUXBOX films. Click on the logo to visit their website and find out more information on sales and festivals. ‘Filmen er nydelig spilt av Ana Brun, Margarita Irún og Ava Ivanova i de største rollene, er sikkert og finstemt regissert av Marcelo Matinessi, og forteller en historie om frihet og kjærlighet helt uten kliss og klisjeer’ skriver Birger Vestmo. ‘Lascia un segno forte, accolto da standing ovation, il debutto al concorso della 68. Berlinale del regista e autore paraguaiano Marcelo Martinessi con Las herederas’ scrive Simone Porrovecchio. ‘Amid the sound and fury of a thousand and one ambitious cinematic epics, it’s refreshing to find a film as serene as The Heiresses.’ writes Hannah Woodhead. ‘Tutto senza mai alzare la voce, senza agitare bandiere. Confermando come l’America Latina produca oggi uno dei cinema migliori del mondo’ scrive Luigi Locatelli. ‘El director Marcelo Martinessi logra el escenario perfecto para criticar a una sociedad que claramente se aferra a la división de clase, y a la censura de la mujer’ escribe Carmen Salas Cárdenas. ‘Com a proposta do realizador paraguaio Marcelo Martinessi, Las Herederas, percebe-se um cinema muito seguro e empenhado numa revisão do tecido social local’ escreve Paulo Portugal. ‘In lontananza, il film guarda anche alla cristallizzata, se non ammuffita, piramide sociale, economica e soprattutto politica del Paraguay, lontano da ventate di reale rinnovamento’ scrive Enrico Azzano. ‘The director holds his frames long enough to suggest a still life. Chela’s life, like her art, is frozen.’ writes Baradwaj Rangan. ‘Mit "Las Herederas" ist zum ersten mal ein Film aus Paraguay im Wettbewerb, Martinessi erzählt in dunklen Tönen und leicht verhangenen Bildern die Geschichte von Selbstbefreiung unter veränderten Vorzeichen’ schreibt Thekla Dannenberg. ‘A carefully wrought piece about understanding who you are and what you want in this life, it displays a complete mastery of narrative from director Marcelo Martinessi’ writes Redmond Bacon. Paraguay is my home country. I grew up, studied and lived there most of my life. My family as well as some of the people I love the most in the world live there. And still, since I have had the use of reason, I have always wanted to escape. Paraguay is – for me – a prison-country. And even whilst away, I was never able to quite untangle myself from the uneasy feeling of belonging. The urge to leave was also an urge to save myself. I have been blaming Paraguay for all those things that constantly made me flee. But only after the recent coup (2012) did I realise what Paraguay really is for me: a family, a social class, an education, a system of ‘values’ that was passed from one generation to the next, like a hereditary disease. This film comes out of my desire to heal. But also from the need to understand my habit of going away and returning to the same place, to a ‘sort of’ freedom that imprisons. 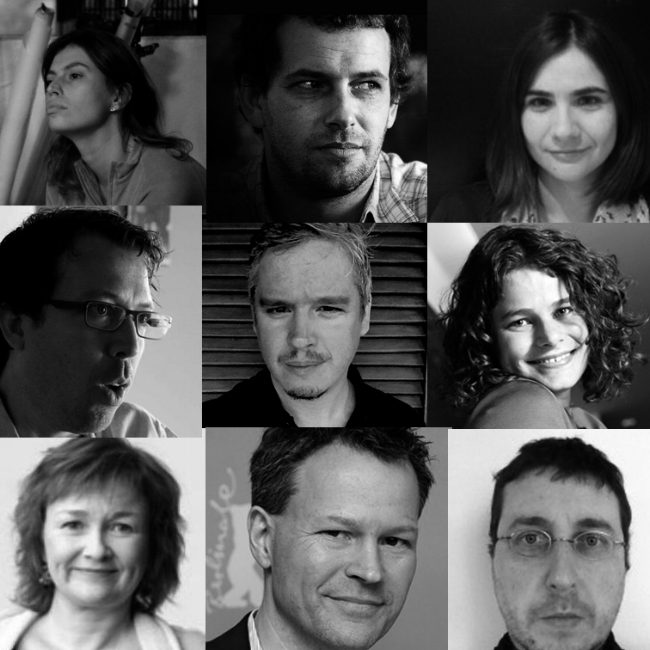 PRODUCERS: Agustina Chiarino, Fernando Epstein, Marina Perales, Marcelo Martinessi, Sebastián Peña, Julia Murat, Hilde Berg, Christoph Friedel, Xavier Rocher. LAS HEREDERAS was selected and participated in the 28th session of Cinefondation - La Residence. Writer/Director Marcelo Martinessi was invited to further develop the script during 6 months in Paris. As participant of this program, the project was also invited to Rencontres de Toulouse (Cinéma en Développment) , Locarno Film Festival (Filmmakers Academy), Paris Co-production Village and a special pitching session at Cannes Film Festival. LAS HEREDERAS participated in the SCRIPT & PITCH program of TORINO FILM LAB in 2014 and in the FRAMEWORK program in 2015 were the project received one of the PRODUCTION AWARDS. More info HERE.